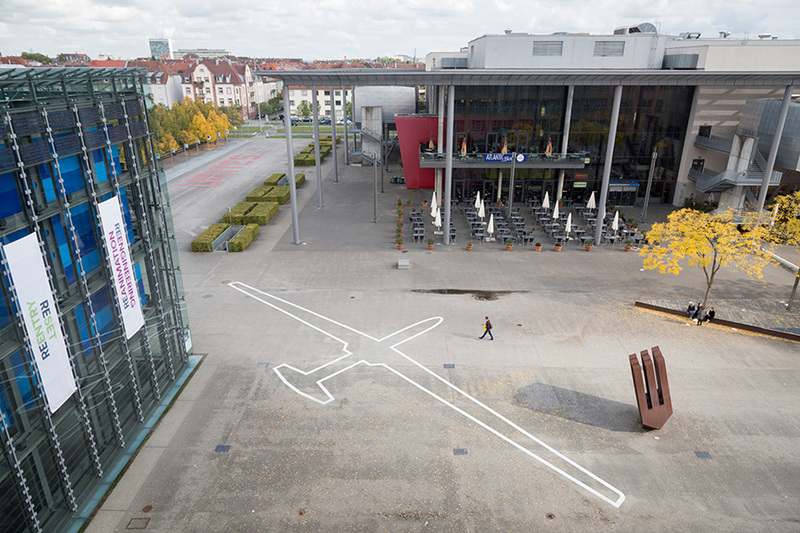 The Drone Shadows are a series of installations, at 1:1 scale, of the outline of military unmanned aerial vehicles (drones) on city streets worldwide. The work responds to the physical, political and technological invisibility of the drone, by sketching it out and rendering it visible, and thus amenable to critique. Since 2014, Drone Shadows have appeared worldwide in multiple contexts, and the artist has open sourced the project for anyone to repeat, by releasing plans and guides online.